You are here: Home / Images / Optimist – Three men in a boat! A Dinghy Sailing tagged image from photographer – Elsie esq. as published on Flickr. Three men in a boat! by Elsie esq. 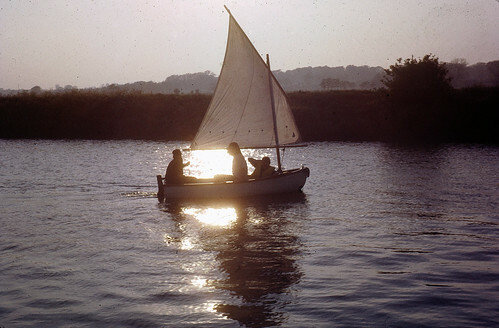 Namely Phil Chris and Nige sailing on the Norfolk Broads somewhere. From a slide taken in the early 80s. I think the camera was a Praktica SLR belonging to Chris.